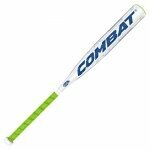 The CF series by the famous DeMarini Company can be termed as the most innovative and trend making pieces of bats to be made in this age and era. The bats incorporate the latest technology also known as 3Fusion. With this technology, not only the value for money is guaranteed, but also longer playing life of the piece is assured. There are many reasons why one should choose this series of bats. These include the following. The 3Fusion and D-Fusion knowledge are the main technologies used in making bats in this CF series. The main advantage of these technologies is that they allow the manufacturer to get even weight on bats. This balanced weight helps the player to master their bat quickly and this translated to better performance. When a manufacturer sets the product under warranty, it shows the level of trust they have on the specific product. This is a big plus to the buyer owning the fact that bats are not cheap and buying one work as an investment. Knobs can aid the player to be productive or not to be productive. With this prized knowledge, the CF series has given the handle the aptitude to be still comfortable even when the player gets a mishit. 3Fusion as a technology has a way of reducing the effects of misses. The company has enabled the bats in this series to have improved sweet spot equaled to other bats in the same categories. 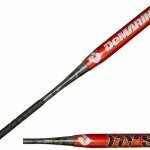 The bat is a product of DeMarini, a renowned company for the best baseball equipment. The first impression you get after handling this bat is quality and a colorful masterpiece from a company with enough experience in the baseball world. The age group that this amazing bat aimed is from 12 years to 14 years and this explains the weight and the make of the bat. Some of the features in details of this DeMarini bat include the following. The bat is well balanced. For the young baseball players, the better the bat, the more they are able to become better baseball players. This bat has the best distribution of the bat weight is because the composite material that is used in the making of the bat is easy to balance and control the weight. DeMarini CF Zen Balanced (-5) 2 5/8″ Baseball Bat is also a string bat with an increase in 22% Paraflex composite in terms of strength. This is an increment to most bats in this youth category. This means therefore that the bat will not be prone to unnecessary bends after a couple of hits. With D-Fusion technology, this bat has the best performance in terms of vibration absorption and this means therefore that mishits by the young baseball player will not make them have irritations and losing focus on the match. 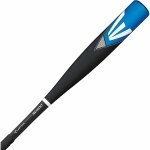 In summary, considering the above features together with the fact that this bat has numerous certifications from various bodies managing baseball, it is a worthy investment from the parent or the guardian for their young son. 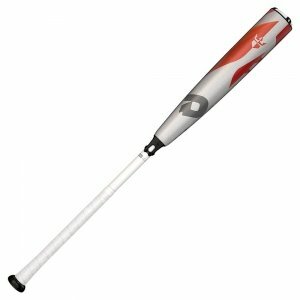 With an amazing drop weight of negative three, this DeMarini bat is the perfect choice for a lasting bat. Like the previous bat, when you first handle this bat, the first impression you get is that of a well-made bat which is colorful and is relatively light. The fact that the bat has better ratings by the various organizations managing baseball gives the player the needed confidence to purchase this bat. The bat is well balanced. DeMarini as a company did not disappoint on the weight distribution of this particular bat. The player can have well-thought hits and swings thanks to the balanced bat. There is nothing as disappointing as a bat with an even distribution of weight. The bat is composite made. There are numerous makes of bats in the market. Bats made from composite materials are incomparable in terms of quality and the good experience. The make gives the bat a large and sweet spot. The bat has one of the most innovative baseball handles in the market. 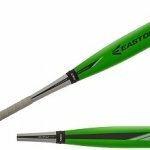 The 3Fusion type of handle incorporates new invention that makes the bat be well handled and effects of playing as mishits largely minimized. The piece has a one-year warranty. This gives the buyer the immunity if the bat fails to function or if delivered with malfunctions. In summary, for potential buyers willing to invest in a real bat that gives value for money, then this is the bat in CF series. More reasons for buying the bat are from the one-year warranty and the fact that the bat certified as a recommended piece for various leagues. 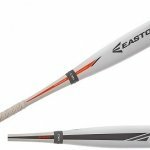 Unlike the previous two bats, this is designed for the senior baseball player and that is why the drop weight is negative ten. The bat comes with a warranty, which like other bats in this CF series is one year. Due to well-built make, the bat is USSR certified. The first impression one gets from this app is that of a fine designed and a colorful baseball piece. The following are some of the most iconic features that come with this DeMarini manufactured piece. The most iconic aspect of this bat is the introduction of a new technology also known as 3Fusion. This technology is responsible for ensuring that the bat is effective in the baseball pitch from the handle to the barrel. From this, we bat has a sweet spot that is by many standards bigger and better and the bat handle is amazing. With a weight Drop -10, the DeMarini piece is big enough for the senior players and the company does not compromise on the diameter of the piece which is considerably big with a measurement of 2 ¾ diameters. Furthermore, the piece has a one-year warranty. This gives the buyer the immunity if the bat fails to function or if delivered with malfunctions. With these factors, this bat is worth buying. 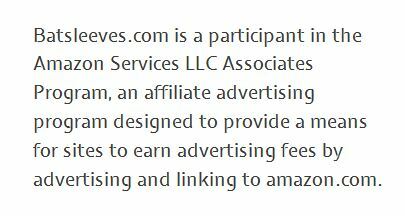 It is a guarantee that the player gets the value for what they pay. This also should be more underscored by the warranty that comes with this bat and this protects the player from uncertainties that may occur in the first year of using the bat. In conclusion, the series of the above bats can be termed as the most innovative series of bats and the fact that they all incorporate new technology to give players a better playing experience is recommendable.